A signature bistro and café chair found in Europe. 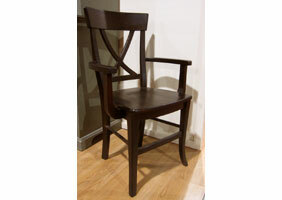 The French chair features a distinctive cross back design with a wood seat and tapered legs. The X Back chair has a comfortable 18" seat width. This Parisian bistro chair is a great choice for every day use. Available in Side or Arm styles. A signature bistro style chair found in cafés across Europe. Known for it's French elegance paired with tailored details—it's the perfect chair to add Parisian style to your dining room. 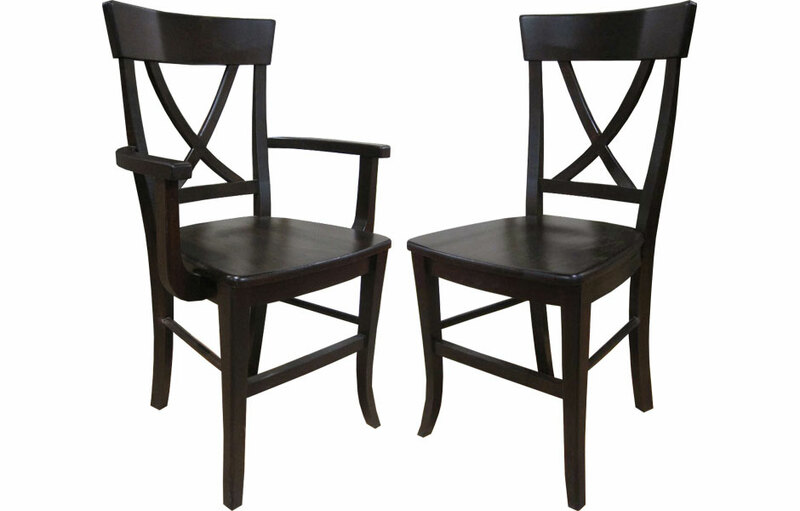 The X Back chair features a distinctive cross back design that originates from bentwood chairs of the 19th century. Made popular by its classic French bistro design and enduring durability, the X Back Chair has become a great choice for everyday use in dining rooms and kitchens. The French-inspired cross back chair offers a sloped back and molded seat for leisurely seating during meals. The slightly sloped back adds comfort and lower back support support while sitting. 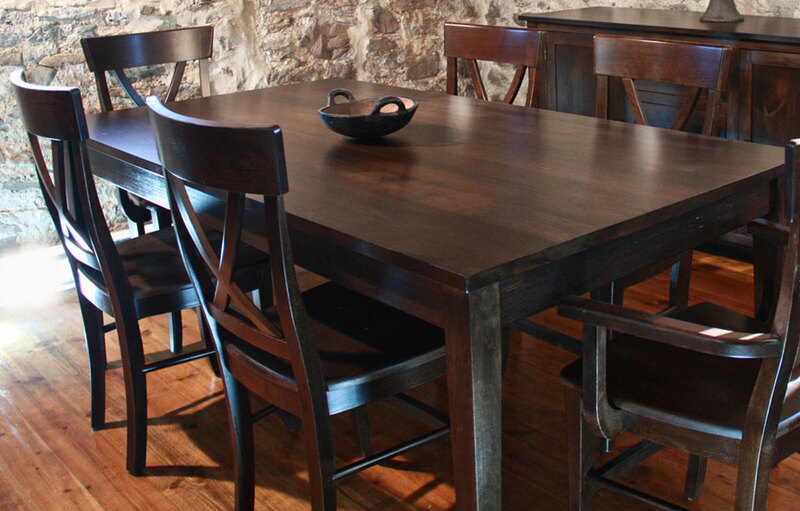 The contoured solid wood seat provides guests with a generous and comforable 18" wide seat. 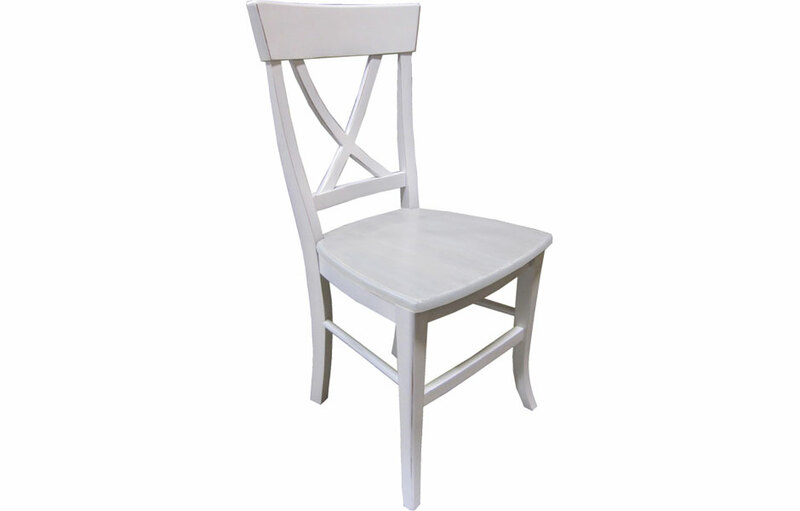 Each X Back Chair is hand finished in any of our milk paint colors or stains for a classic country French effect. All of our finishes are hand applied giving each chair a handcrafted quality. Our finishers then lightly rub the paint, if desired, for a slightly worn appearance. 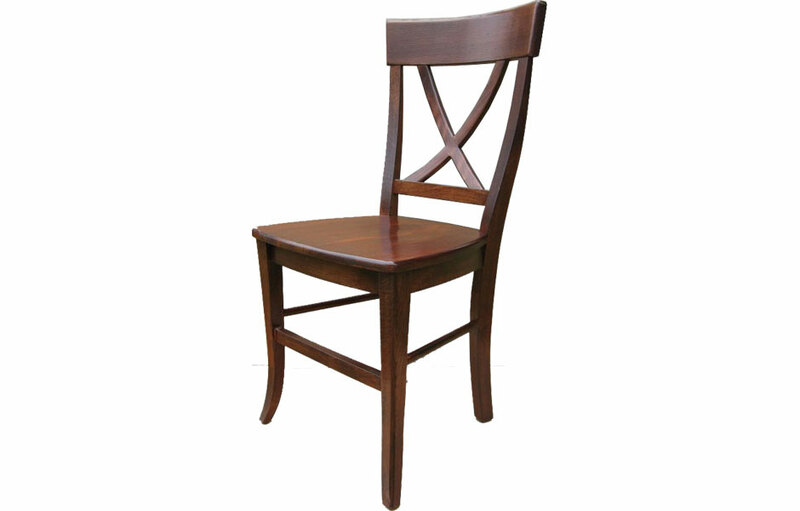 The X Back Chair has tapered legs and simple embellishments making it a versatile chair to add to a variety dining room styles including french country, farmhouse, English cottage, rustic, traditional, or transitional. 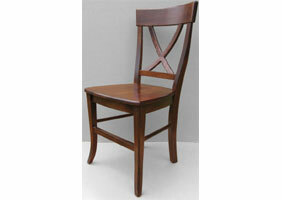 X Back Chair shown in a side style and finished with a Sequoia Aged Finish stain. 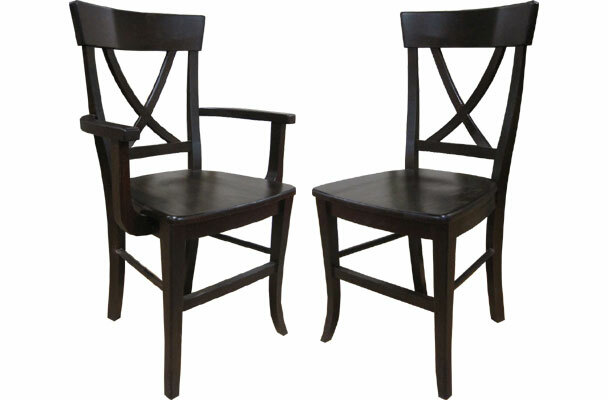 X Back Chair shown in an arm style and finished with Espresso stain.